How to get the most out of your Video Learning Experience – Tips and Plug Ins! 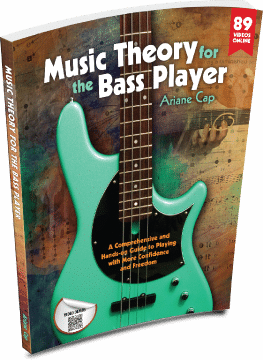 Home / Music Theory for the Bass Player / How to get the most out of your Video Learning Experience – Tips and Plug Ins! Hey, Ari, can you play that again a bit slower? Totally! Found some new tools… check it out! Ever watched a video and would have loved to have it go by much slower? Such as when you wanted to figure out what a musician is doing and needed it slower? In the course, watching the Finger Kung Fu videos and can’t keep up with the tempo? Slow it down! Or, maybe there is talking and you’d like to hear it faster? I watch some TED talks at 1.5 or even 2x speed – I find I get used to the faster speed easily and can retain the content pretty much at the same level. Transcribing a tune and the chords are super easy to transcribe on the fly? Just need a check on the form? Speed it up! If you are in our 20-unit course and are using the “old” platform (at the time of this writing we are in the process of migrating the course to a new platform which plays all sorts of bells and whistles), the course videos are hosted on Vimeo. The above YouTube trick won’t work. Instead, use Chrome as a browser and install this nifty plugin. From there you can easily dial in a slower or faster playback speed! Forget about the Repeat function, by the way. It only makes the video go on autoplay. Wishing for a loop function, where you can loop only a certain portion of the video? We are working on it for Course 2.0! Want an Easy Panel for Both Youtube and Vimeo? Follow the above link, hit the blue Add to Chrome button and you are in! Maybe restart your browser and behold – both Youtube, as well as Vimeo videos, will now have a little pane on the top left that lets you dial in the speed! Technology is an amazing tool when it comes to learning. Let’s make sure, however, to use it to our benefit and not allow it to become a pitfall. One possible danger is to get a bit lazy and always slow things down to transcribe it. Do your best at the original tempo first! Also, make sure to not get used to playing a piece at the wrong tempo. I know my mind adapts very quickly, also to speech. If you listen to a speaker sped up for a few minutes and then slow the tempo back down to normal, the speaker sounds like a drunk zombie for a few minutes until my ears adapt back to the slower speed. Use wisely and rock on – quarter, full, or double speed ahead!! Now I can make you sound like you’ve had one too many drinks. The extension will help thank you. Lol, whatever it takes, Datrucks, whatever it takes 🙂 Cheers!